The Campaign for Sustainable Rx Pricing (CSRxP), a broad-based coalition of leaders from every sector in healthcare, launched a campaign in Colorado and nationally as part of a multi-million-dollar effort to hold Big Pharma accountable for the rising prices of prescription drugs. Because Big Pharma blocks competition to maintain monopolies on medicines, they can set any price they want. That’s why 100% of Big Pharma’s revenue growth is due to price increases. That’s why the price of EpiPen increased by nearly 500% after it was acquired by Mylan. That’s how Marathon Pharmaceuticals can set the U.S. price for a muscular dystrophy drug at $89,000 – when it’s been available overseas for $1000 a year. That’s called price gouging – and that’s what this campaign will highlight. PriceGougi$ol, which will also run on digital outlets nationwide, highlights the issue of Big Pharma’s claims that high prescription drug prices are necessary to fund research and development. The truth is, 9 out of 10 of the biggest drug manufacturers in the United States spend more on advertising than they do on R&D. That’s one reason why voters hold Big Pharma responsible for rising drug costs. According to recent research commissioned by CSRxP, 74% of voters blame pharmaceutical companies for rising prescription drug costs. Solving this crisis is a strong bipartisan priority. As President Trump said in his first address to Congress, we need to “work to bring down the artificially high price of drugs – and bring them down immediately.” The campaign has outlined a series of market-based solutions that create more competition, more choices, and deliver open and honest pricing. The coalition will continue to work with lawmakers in the coming weeks as Congressional attention turns to the UFA reauthorizations and recently-introduced legislation like the CREATES and FAST Generics Acts and drug prices will be front and center. The campaign will include on-the-ground, grassroots initiatives in states across the country to help patients, doctors, nurses, pharmacists, businesses, and taxpayers who feel the consequences of rising drug prices every day. They will tell their stories to the local media and their representatives in government. 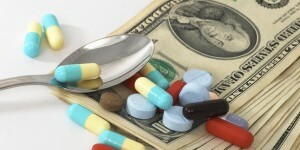 The Campaign for Sustainable Rx Pricing (CSRxP) is a non-partisan coalition.